European models for sustainability often shape what we know about the subject. And this is often irrelevant tothe developing world’s context. It is against this background that the World Student Environmental Network’s Global Summit will be held in South Africa – in the developing world for the first time since its inception seven years ago. 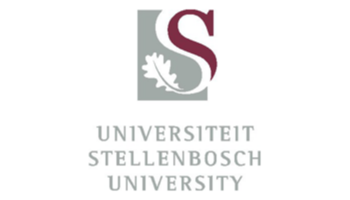 From 30 June – 5 July Stellenbosch University (SU) will play host to over 70 student delegates from 25 countries. They will gather to discuss issues and challenges around how students can advance environmental sustainability at their universities. For the first time there will also be a large delegation of students from other African countries. “I believe Stellenbosch University has an important role to play in promoting the green economy and sustainable development in Africa in a unique way – through its community interaction, research, and teaching and learning,” says Gina King, a former Matie and one of the organisers of the Word Student Environmental Network (WSEN) Global Summit. Gunter Pauli, the renowned “green” entrepreneur and author of The Blue Economy, will be the keynote speaker on the first day. Other speakers include Eve Annecke, Director of the Sustainability Institute in Stellenbosch, Edgar Pieterse, Director of the African Centre for Cities and Dave Pepler, South African environmentalist who is well known for his nature programme Groen on TV. “This annual summit is a meeting place for students who want to make a difference in their own communities and the world,” says Pieter Botha, one of the Stellenbosch organising team members. Botha is doing an MSc in Botany and was a co-founder of the student society EcoMaties. Previous summits were held in Japan, Sweden, Switzerland, Germany and Canada. The 2014 Summit is sponsored by a number of institutions within SU: the Frederik Van Zyl Slabbert Institute for Student Leadership Development (FVZS); SU’s Sustainability Initiative, the Postgraduate and International Office, as well as the National Department for Environmental Affairs. The FVZS Institute was instrumental in drafting and submitting the bid which secured the WSEN Global Summit for Stellenbosch with King, in her then role as Student Representative Council Member. According to Botha the WSEN Global Summit will not “simply be a talk shop”. “The goal is for students to come up with sustainable projects that they can take back to their own universities. There will be a number of workshops where skills and knowledge will be transferred enabling students to generate new ideas and find solutions for problems. Besides Botha and King, the Stellenbosch organising team is headed up by Emily van der Merwe (BA Law – second year) and Jay du Plessis (MPhil Sustainable Development Planning and Management). They work closely with a team of six other Maties students. During the summit trees will be planted at two schools in the adjacent suburb of Cloetesville. The community project will also include the painting of murals and improvements to the playground of the schools. A sustainability expo will be held in the Visual Arts building in Victoria Street on 4 July. A number of companies and organisations will showcase their green initiatives and products to the public.